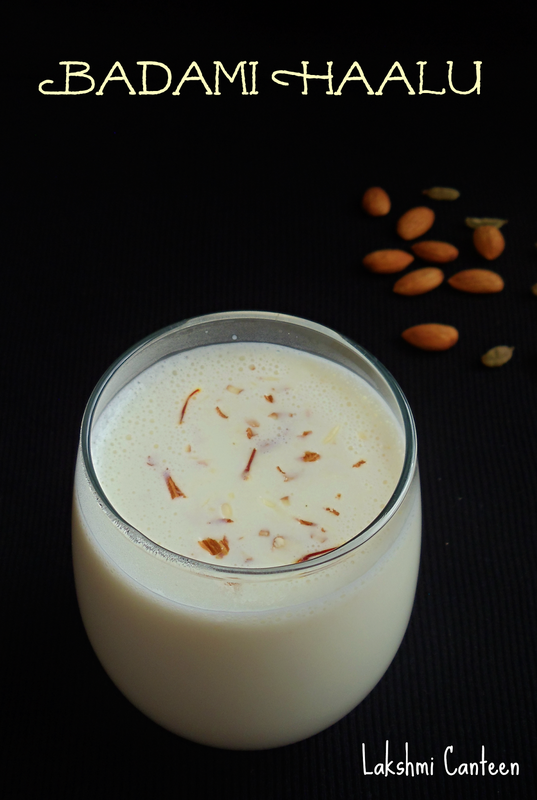 Badami Haalu is a popular Indian drink. It is very rich and flavorful. 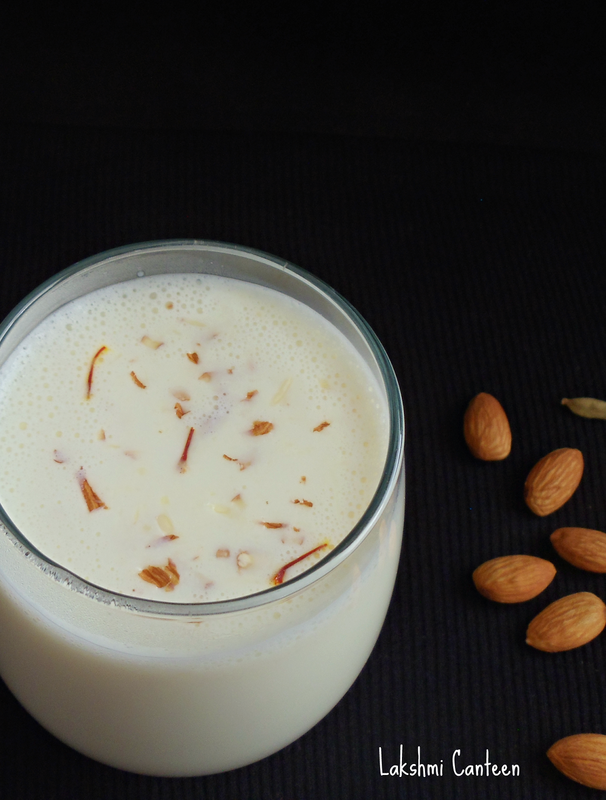 The milk is enriched with almond paste and saffron. It is then cooked for few minutes. Finally it is sweetened with sugar and flavored with cardamom. I love this simple yet tasty drink. It can be served hot or cold depending on the weather. I adapted the recipe from here. 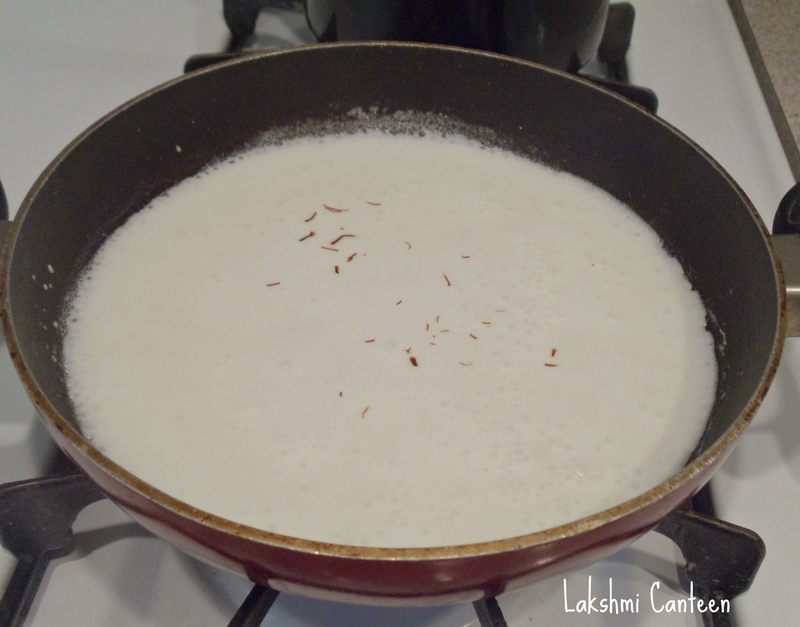 Do try making this drink and I am sure you will love it! 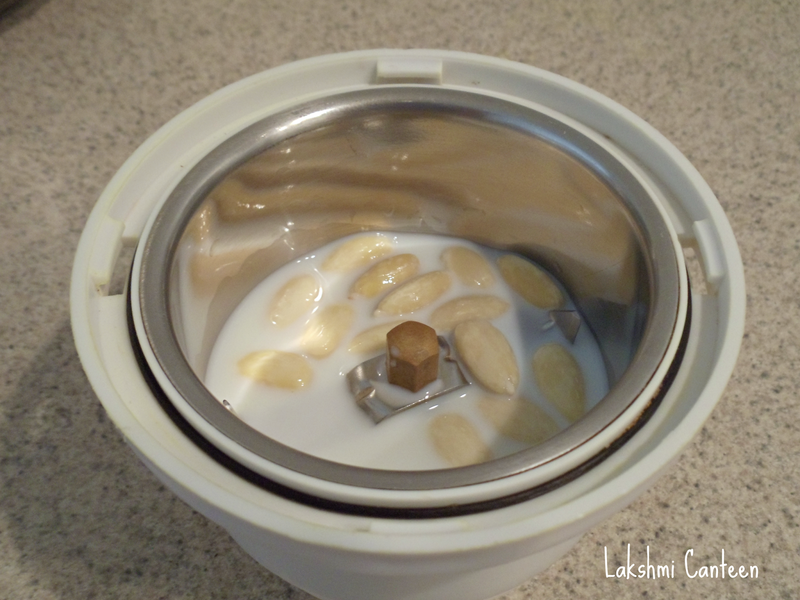 Let the almonds sit in boiling water for 3-4 minutes. Then discard the water and remove the skin of almonds. 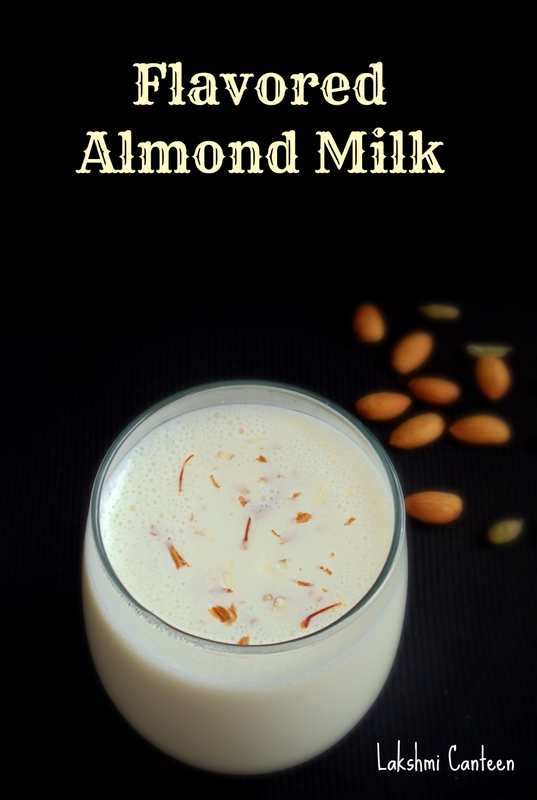 Now take the de skinned almonds along with 2-3 Tbsp of milk in a blender. Now start heating milk in a pot. When it gets hot, add almond paste, saffron and sugar. Mix well and let it boil for 3-4 minutes on medium- low heat. Then turn off the heat. 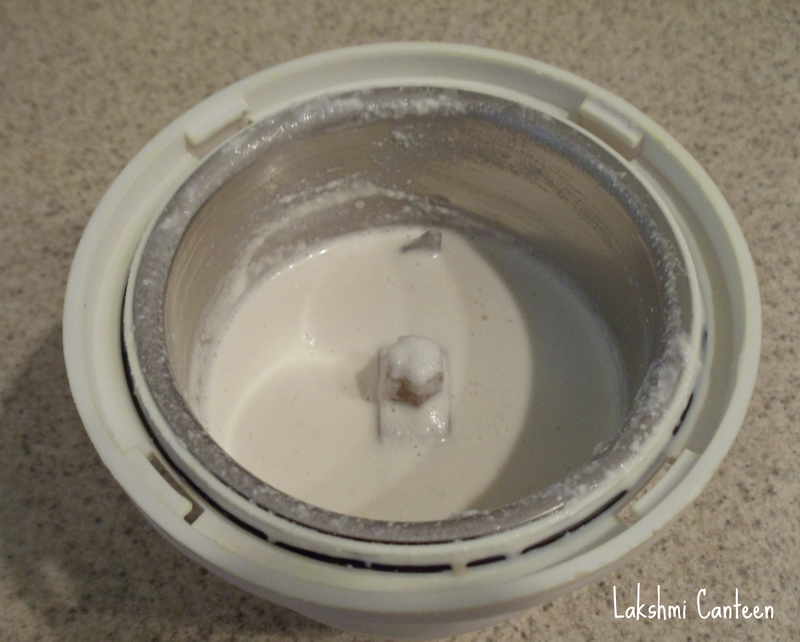 Finally add in the cardamom powder and mix. Badami Haalu is ready!! Garnish it with chopped almonds and saffron. Serve it hot /cold. Above measurement serves two people.